At first glance, it appears as if our ears, our eyes and inner ear (balance) work independently – and that they have their own discreet neurological pathways that coordinate, or manage, each individual function. Why is the repetition of Integrated Listening Systems (iLs) activities important? The cerebellum (lower back side of the brain, near the brain stem) can be likened to a powerful computer processor, transferring vast amounts of information to the movement, language, reasoning, sensory, and emotion parts of the brain; it’s role is so important that it contains more nerve cells than the rest of the brain combined. Integrated Listening Systems (iLs) programs stimulate cerebellar activity to strengthen neural connections and, in the process, improve our ability to make skills such as reading, writing, spelling, etc. automatic. Given these 3 functions, one can see how important the vestibular system is to our sense of balance, our posture and muscle development, and the eye tracking ability required for learning. Vestibular – Directly connected to the cochlea of the inner ear is the vestibular system (see diagram above). It controls our balance, coordination, muscle tone, rhythm and awareness of our body in space. It plays a key role in organizing motor output and posture. Different types of vestibular stimulation are achieved through movement, balance board activities and the bone conduction system built directly into the Integrated Listening Systems (iLs) headphones. Vestibular and proprioceptive inputs (see below) also have a strong impact on attentional systems and emotional regulation. Once these are functioning well, children are better able to participate in higher brain functions such as reading, writing and functional language. Auditory – Decoding, phonemic awareness, listening in a noisy classroom and speaking clearly require efficient processing and storage of information. Integrated Listening Systems (iLs) processes classical music to emphasize different frequencies per therapeutic objectives. The goal is to train the ear and the brain to analyze and process sound more quickly and accurately. For example, the Integrated Listening Systems (iLs) Reading/Auditory Processing Program focuses on the mid-range frequencies of the English language to train one’s ability to discriminate similar sounding phonemes, to process and differentiate rapid occurring speech sounds, to improve inflection and rhythm in speaking and reading aloud. Further, the Integrated Listening Systems (iLs) Sensory Motor Program for those with autism and/or sensory processing challenges emphasizes a range of low frequencies which influence balance, rhythm, coordination and body awareness (all controlled by the ear). Additionally, the bone conduction delivery in Integrated Listening Systems (iLs) headphones provides a unique stimulation to the vestibular system. Visual Motor – The auditory and vestibular systems that are stimulated by the Integrated Listening Systems (iLs) music, as noted above, have direct neural connections to the Visual Motor system subcortically. Orienting to the source of a sound or one’s name being called out utilizes this relationship between the vestibular, auditory and visual motor systems. In addition, the Integrated Listening Systems (iLs) Playbook activities include visual tracking and visual perception activities in every session. The simultaneous exercising of these skills with vestibular, balance and auditory training benefits reading and motor skills acquisition. Proprioceptive – The sense of one’s own body – where it is, how to control it, how to move it – to the point where we don’t need to think about it comes from the receptors in our joints and muscles called proprioception. This is another sensory system too often overlooked as contributing to behavior and learning tasks. When this system in integrated with the other sensory systems the brain is freed up to focus on higher order activities. Children and adults who improve their proprioceptive abilities are able to approach learning and communication tasks in a more relaxed and regulated manner. Integrated Listening Systems (iLs)’ movement program focuses on building proprioceptive abilities with specific exercises in each session. Parasympathetic – The autonomic nervous system (ANS) controls many organs and muscles that work in an involuntary, reflexive manner. The ANS is important in 2 situations: emergencies that require us to “fight” or to take “flight” (the sympathetic SNS) and non-emergencies that allow us to “rest and digest” (the parasympathetic PNS). 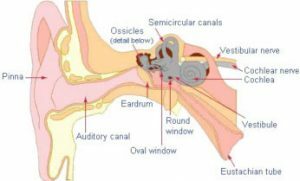 The Integrated Listening Systems (iLs)’ auditory program stimulates the parasympathetic system through the vagus nerve (afferent fibers on the eardrum and in the outer ear canal) which descends from the brain all the way to the intestinal tract. The vagus nerve influences our heart rate, sweating, mouth and throat muscles involved in speech, as well as our bowels and digestion. Many children and adults beginning iLs programs are in a state of hyper-arousal, not far from “fight or flight”. The gentle stimulation of the PNS brings about a balance of the ANS which is reflected by increased calm and self-regulation. Cerebellum – The cerebellum is 10% of the weight of the brain but it has 50% of the brain’s neurons. In computer terms, it’s our processor, receiving input from sensory systems and various parts of the brain, and integrating these inputs to fine tune motor activity. Most neuroscientists agree it is involved in motor functions, cognitive functions such as attention and emotional functions such as regulating fear and pleasure responses. The Integrated Listening Systems (iLs) Playbook’s repetitive activities stimulate cerebellar function. Inputs from the visual, vestibular and auditory systems, session after session, train the cerebellum to become efficient at processing multi-sensory information. Hemispheric Integration – The brain defies categorization of function into neatly organized compartments but rather utilizes multiple areas simultaneously for any one function – reading being a good example. Brain areas from front to back and from left to right are simultaneously involved in this activity. This requires precise, rapid and clear communication within and between hemispheres. The strength of the connection between hemispheres is enhanced through the duration of the listening and the repetitive exercises from the Integrated Listening Systems (iLs) Playbook. Enhanced Skills: You name it. Improved hemispheric integration applies to almost everything the brain does. Reticular Activating System (RAS) – The RAS is a network of neurons deep in the brainstem that receives input from all sensory systems. It sends nonspecific information to the brain to “wake it up”. It is involved with regulating arousal and sleep-wake transitions, alertness, appropriate arousal to attend to the task at hand, and even prepares the motor system for action. Learn more about our music processing techniques, all of which are safe and have been tested over many years of application to both children and adults. The listening treatment is also aimed at the sensory level involving an individual’s self-regulation and adaptation to the external world. There are many studies indicating that sensory deficiency or overload can result in delayed or uncommon development. It is believed that the central nervous systems of individuals with the following disorders (as examples Attention Deficit (Hyperactivity) Disorders (ADHD), Auditory Processing Disorders, Autism, Developmental Disorders, Dyslexia, Dyspraxia, Learning Disabilities, Pervasive Developmental Disorder (PDD), Sensory Integration Disorders, Speech and Language Disorders) do not properly recognize, process and organize sensory information from their bodies or environment. As a result, they are not able to respond or perform optimally. Without re-training of the auditory system, this cycle continues with increasingly more disorganized sensory input, output and feedback. The consequences of a disorganized central nervous system are developmental lags, behavioral, emotional and learning issues. Without an efficient nervous system, it is very difficult to interact or be at ease with the world around us. ILS listening by itself is not an FDA approved stand-alone program (as is the case with all sound interventions) and is not recognized in the USA as a medical intervention that seeks medical reimbursement. At our center we focus on occupational and physical therapy services in an adult-child one to one ratio and we add ILS listening as one of our many tools.